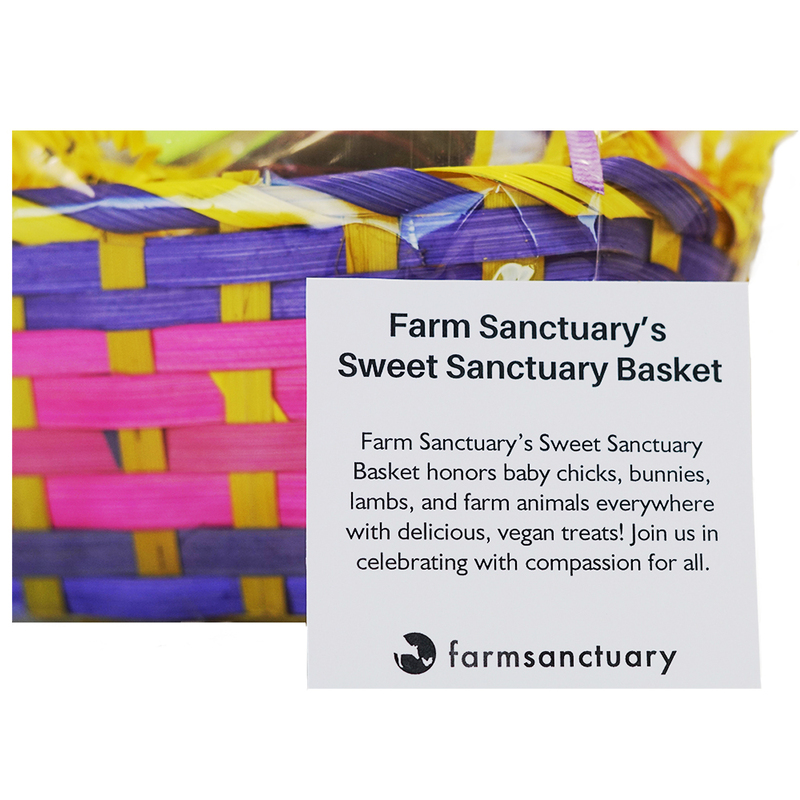 Honor baby chicks, bunnies, lambs, and farm animals everywhere with Farm Sanctuary's Sweet Sanctuary Basket. 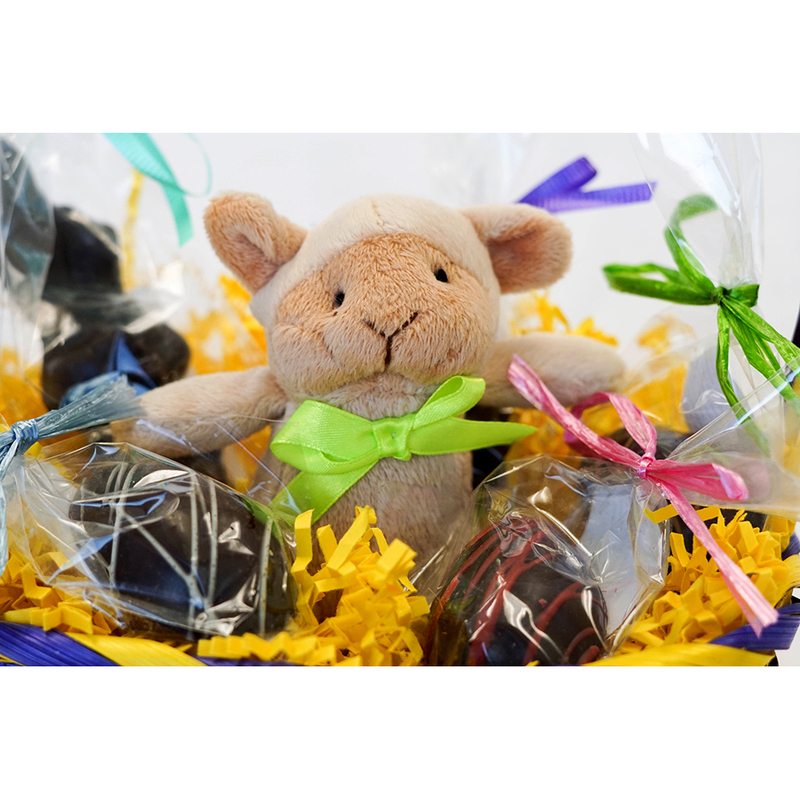 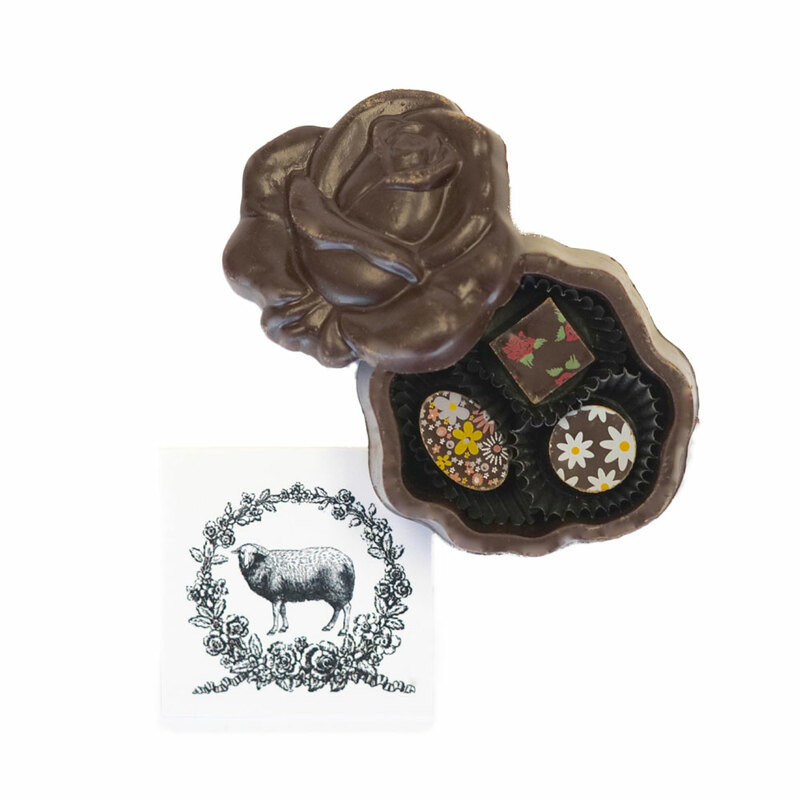 Farm Sanctuary's Sweet Sanctuary Basket comes with a 4 1/2" hand molded premium dark chocolate bunny, 4 dark chocolate peanut butter eggs, and a cute lamb plush toy. 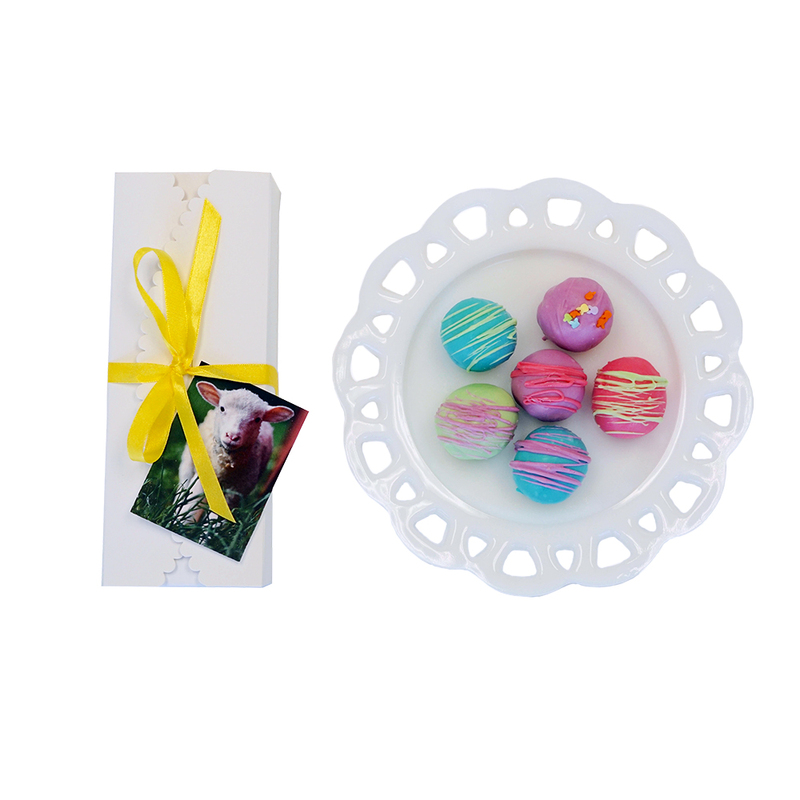 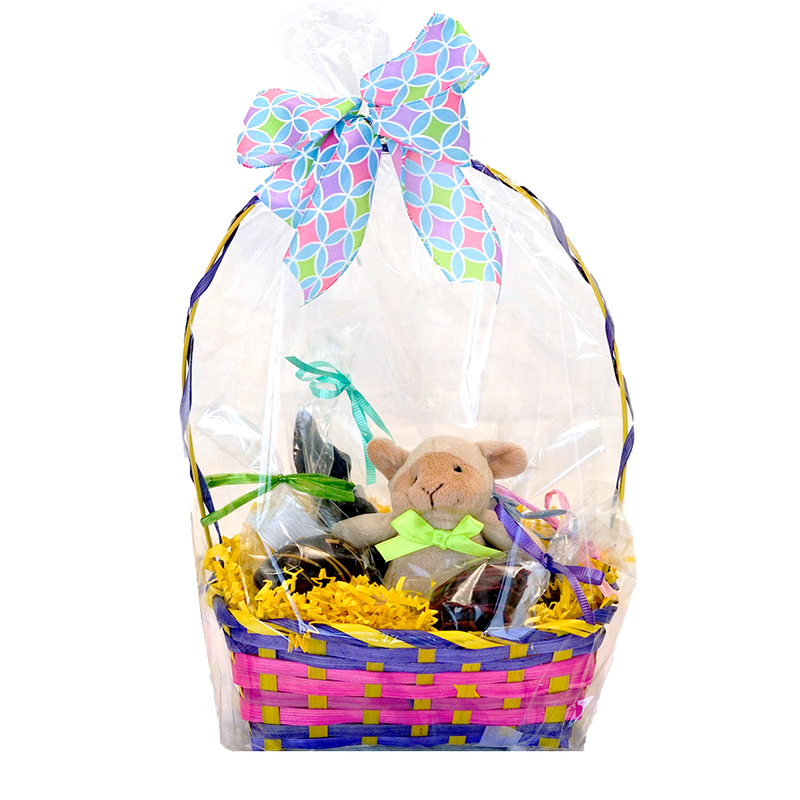 The basket comes wrapped and ready to give as a gift with a cute spring tag. 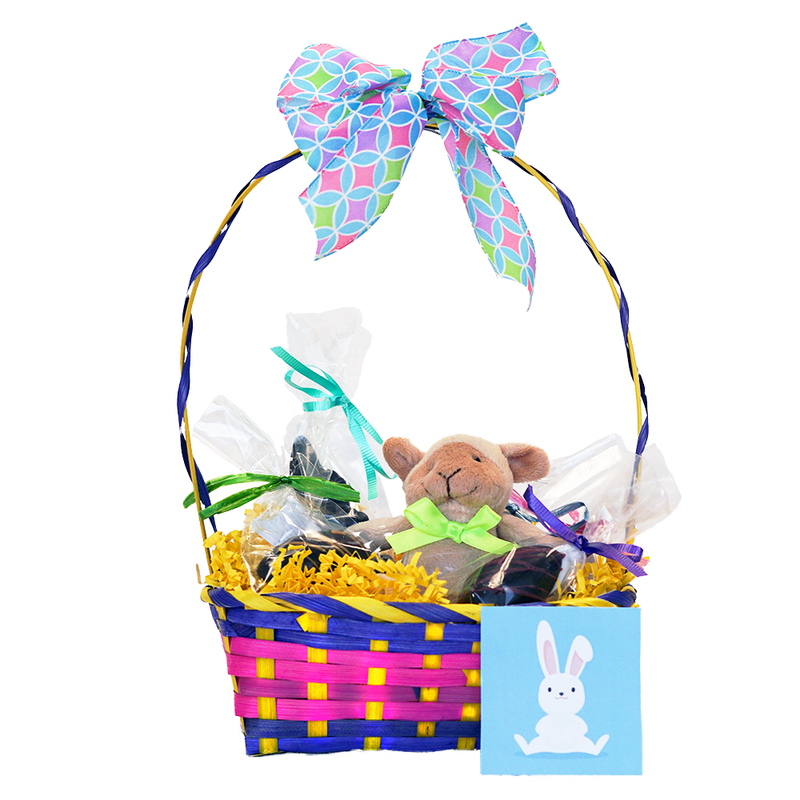 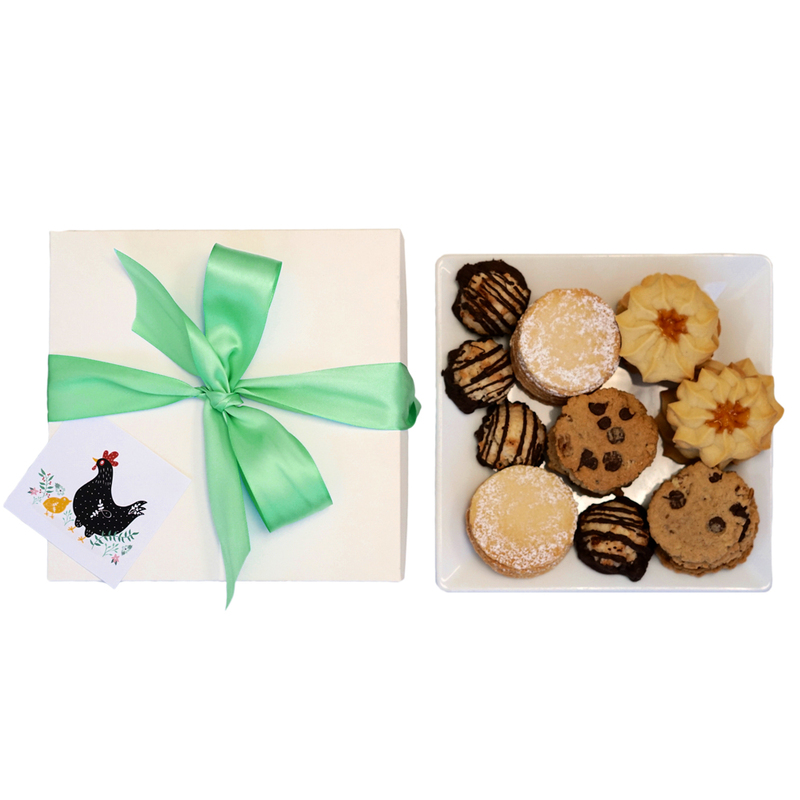 The tag features a cute bunny on front and the following message on back: Farm Sanctuary’s Sweet Sanctuary Basket honors baby chicks, bunnies, lambs, and farm animals everywhere with delicious, vegan treats! 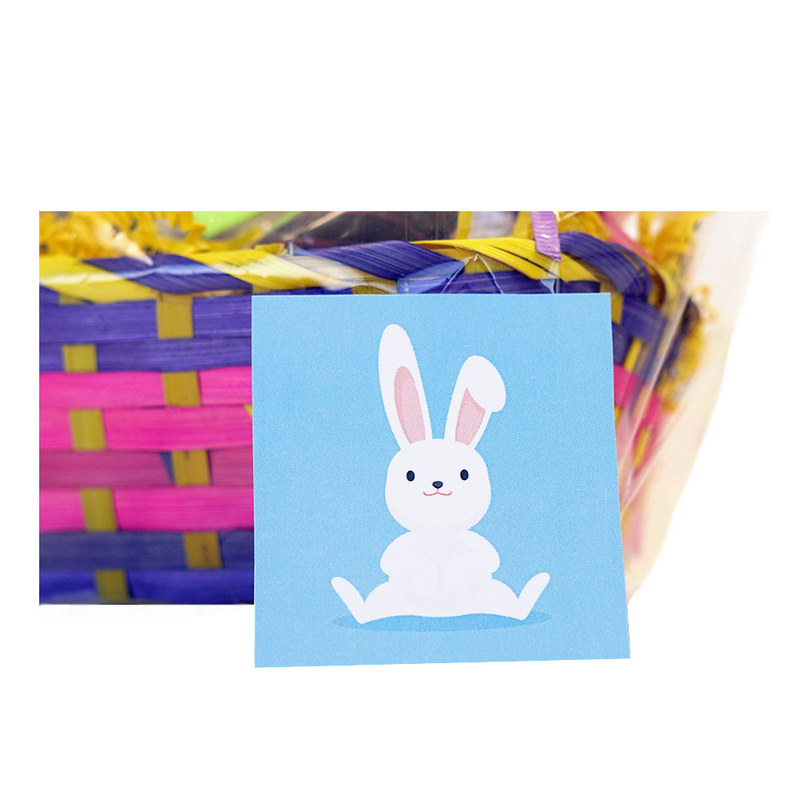 Join us in celebrating with compassion for all. 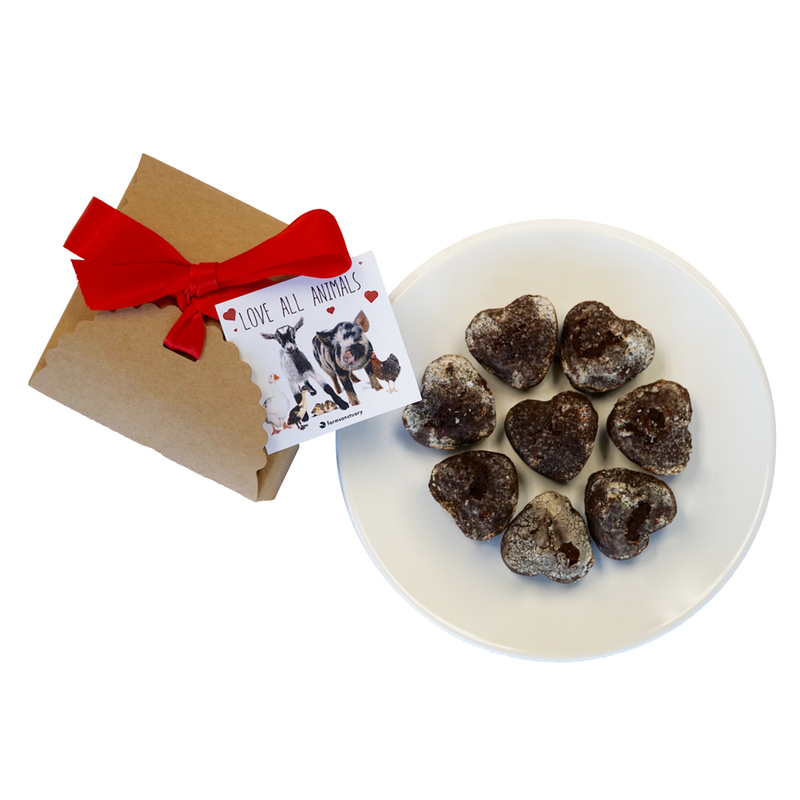 Dark Chocolate Bunny: Dark Chocolate: cocoa beans, sugar, cocoa butter, emulsifier: soya lecithin, natural vanilla extract. 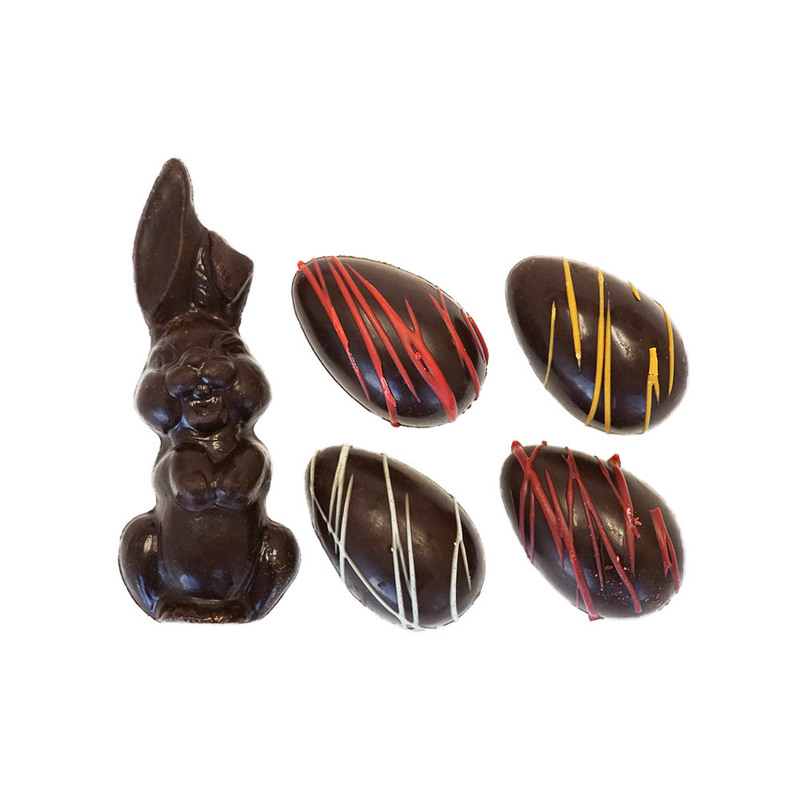 Chocolate Eggs with Dark Chocolate Peanut Butter Filling: Dark Chocolate Ingredients: cocoa beans, sugar, cocoa butter, emulsifier soya lecithin, natural vanilla extract. 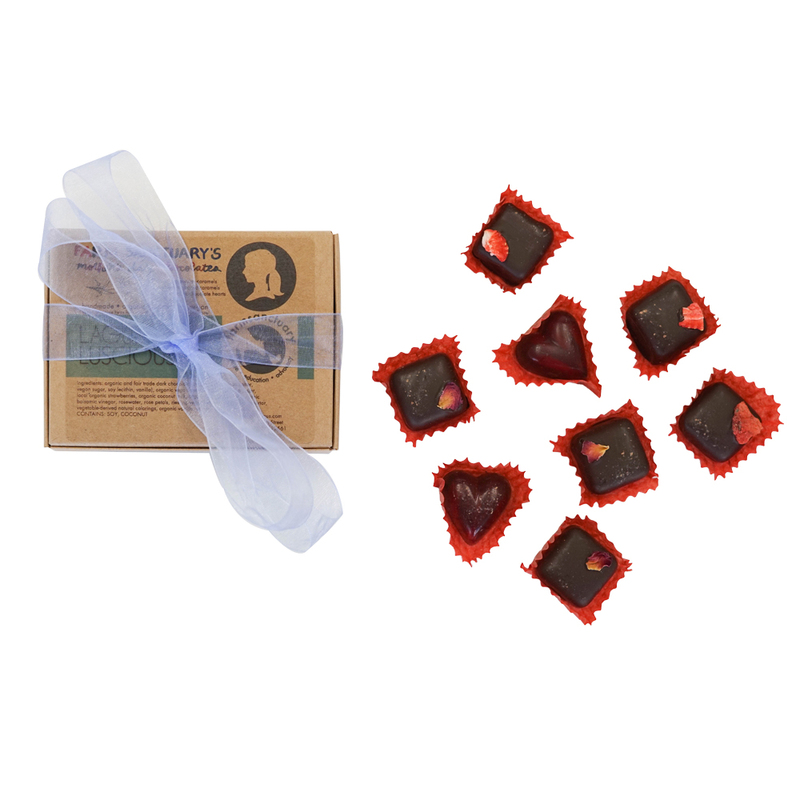 Filling Ingredients: Dark Chocolate (Product Contains Nuts) Peanut Butter, tapioca syrup, pure cane brown sugar, pure cane sugar, vanilla, salt. 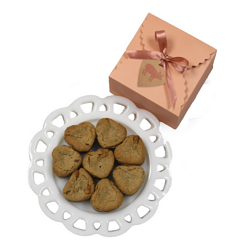 Natural Color Ingredients: cocoa butter, Passion Fruit Couverture (Sugar, cocoa butter, dried passion fruit juice (sugar, passion fruit), emulsifier (soy lecithin), Strawberry Fruit Couverture (Sugar, cocoa butter, strawberry powder, dried glucose syrup, emulsifier (soy lecithin), Tumeric.